الخيار الأفضل للحصول على المتعة والاسترخاء، فندق مانترا ساوث بانك يقع في منطقة رائجة من أفضل مناطق المدينة. يسهل الوصول إلى هذا الفندق ذو 4.5 نجوم من المطار، فهو يبعد عنه مسافة 17. Km فقط. يشكل هذا الفندق ملاذاَ مريحاً للاسترخاء ويمنح زواره فرصة للاستجمام والتجدد، وهو يقع على بعد خطوات من المعالم السياحية الكثيرة للمدينة. إن فندق مانترا ساوث بانك حريص على توفير الراحة للنزلاء، فلا يوفر الموظفون جهداً في تقديم أفضل الخدمات وضمان حسن الاستقبال. تتضمن الميزات الرئيسية في هذا الفندق: خدمة الغرف على مدار الساعة, خدمة التنظيف يوميًا, مكتب الاستقبال على مدار الساعة, مرافق مخصصة لذوي الاحتياجات الخاصة, تسجيل وصول/خروج سريع. بالإضافة لهذا، تتضمن كل غرف الضيوف مجموعة واسعة من وسائل الراحة . بعض الغرف توفر حتى تلفزيون بشاشة مسطحة, سجاد, قهوة فورية مجانية, شاي مجاني, بياضات لإرضاء أكثر الضيوف تطلبًا. يقدم الفندق مجموعة واسعة من وسائل الراحة المتنوعة، كمثل: مركز للياقة البدنية, حمام سباحة خارجي, سبا. يحظى فندق فندق مانترا ساوث بانك بموقع ممتاز وخدمات يصعب منافستها. I booked and paid for a city view balcony room and they stuck me in a regular room facing the wrong side with a filthy window. The decor looked tired for a Mantra hotel too. Great hotel in a great location. Perfectly situated close to the South Bank train station and across the road from Parklands, with its beach and beautiful walks. A trip into the CBD is a pleasant stroll across the bridge. Loved the cleanliness and welcoming staff. 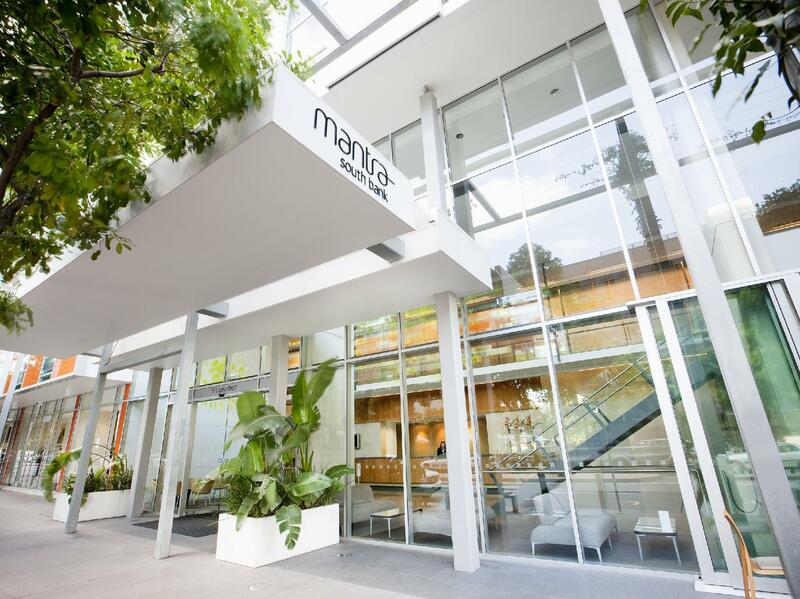 Highly recommend Mantra South Bank for a Brisbane stay. We complained about our hotel room with a view of dead plants and a railway and the lovely receptionist organised an upgrade to a one bedroom unit with city views. We paid extra for the upgrade but it was worth the money. The Level 5 one bedroom apartment was much better and had obscured city views. 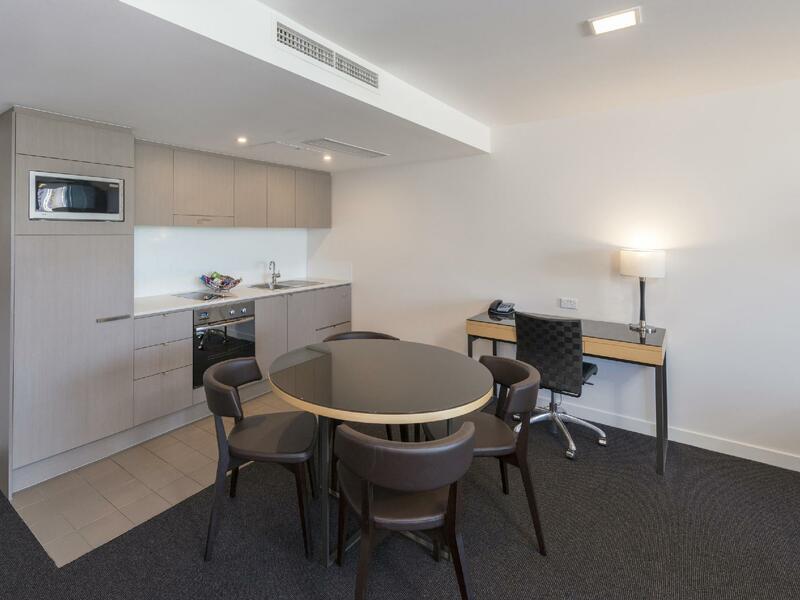 The location is well worth staying here as it is a few minutes walk to all that is going on in the Southbank precint. Breakfast was average but acceptable. The staff were lovely. Located at a nice area and nearest to the convention hall entrance. It is also walking distance to the subway station. This was a good no frills hotel. Our problem was that we booked a room with a balcony, even mentioning that it was important in optional extras, but when arriving was told that the room we booked did not have a balcony as was shown and included on the agoda site. After some discussion on who's fault it was we were eventually upgraded to one with a balcony. Other than that the hotel is good value for the cost and an exceptionally good breakfast. We got a great deal on this property. I'd recommend the $35 valet parking. We parked nearby more cheaply (only $10 cheaper) but in future would take the easier option. Parking is expensive in the city and Southbank. It is definitely worth factoring in this cost to the stay. Our deal included breakfast. It was excellent. A very efficient, comfortable and friendly Hotel ! The ideal place to stay for any South Bank and City Activity. Couldn't ask for a better location to stay for a convention, especially as I was travelling on my own. 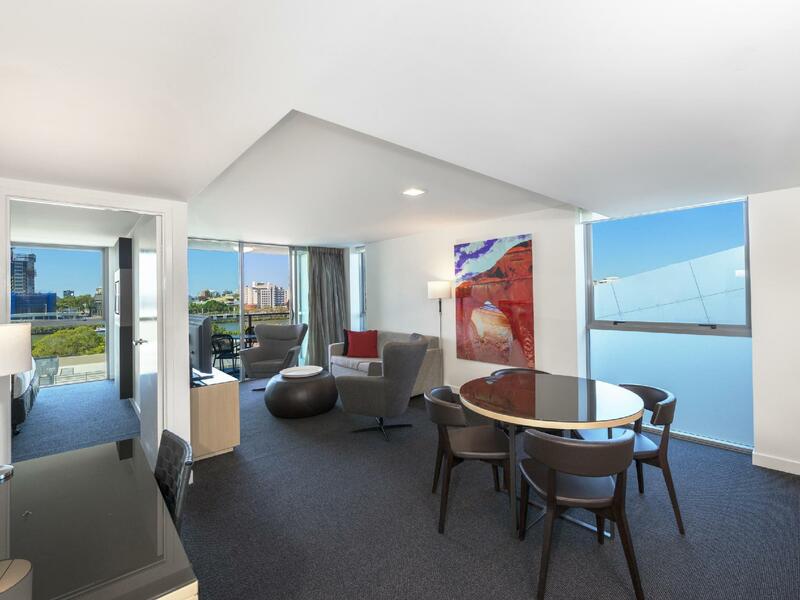 It's close to the train station, the Southbank parklands, the dining strip and bars. I paid for a city-view and had a small balcony to enjoy.The staff were friendly, the room was large and well appointed, and the beds and pillows were the most comfortable I have tried away from home! I would definitely stay again. Surprised to find our agoda rate didn't include housekeeping,. Also addition charge of $35 required daily for valet parking, $60 for 5 days of Internet. We've used Agoda a lot before this without a problem. We stay here normally every year along with many friends for a conference. This stay we were placed in the wrong room to what we booked and it took 2 days to get a response confirming we were in the wrong room (confirmed). Staff were adamant we were in the wrong (what ever happened to customer is always right) and no apology when finally told we were right. Overall disappointed with the staff and service, rooms are still great and location is brilliant. 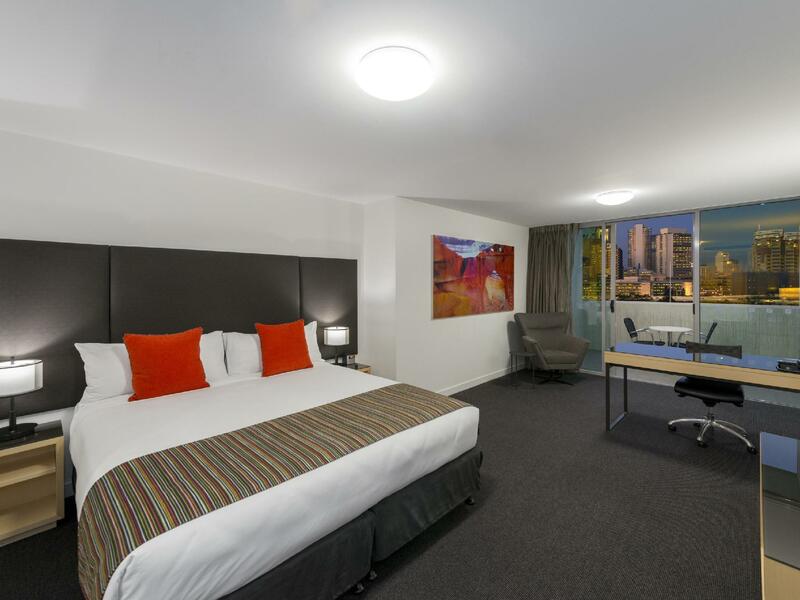 Next trip we are all likely to go to Rydges across the road as we had friends stay there and give it raving reviews. Was an excellent location right on Southbank's doorstep with lots of nice restaurants, art gallery, museum and science centre on next block. The staff were very helpful and friendly. We really enjoyed our stay. The valet parking makes popping in and out in a central location very easy. 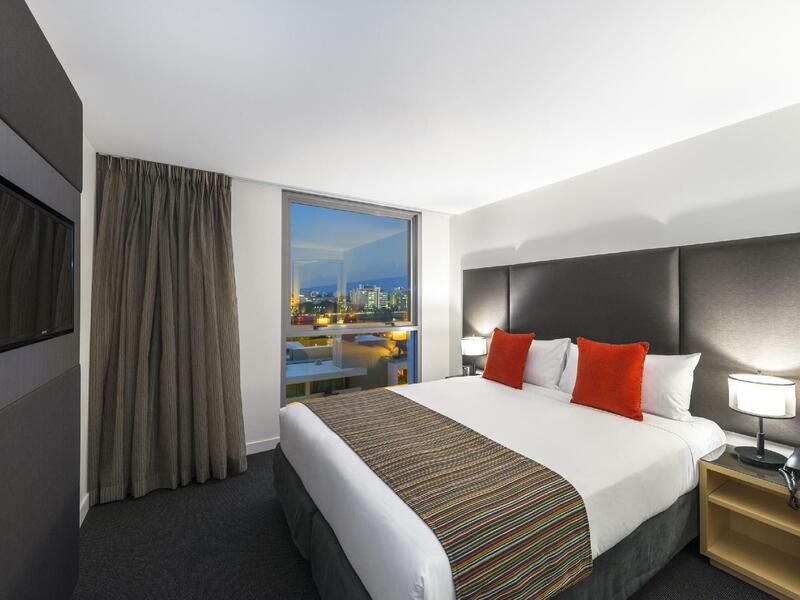 I wouldn't rave about it, the position was good in relation to southbank , however our room balcony had a garden that no exaggeration had 2 totally dead trees and weeds , room service menu was 3 items and the best option was a pizza for $20. In the original booking I looked for a hotel with parking - I drove around the block 3 times only to stop and call re where is the parking - so it does have parking but was not explained that you simply pull up outside the hotel reception and then the only option is valet parking at the cost of $35 , though this is cheap for city parking I feel this should be advised in the description before booking- or at the very least receive an email prior to check in so you are aware. I booked 2 rooms as it was my sons wedding - I explained that he would be checking in with his fiancé and checking out with his wife - I really would have thought that a hotel of this standard may have gone the extra mile and done something nice for the newly weds, but nope! The staff however were fantastic. We stayed overnight after visiting the Good Food and Wine Show. 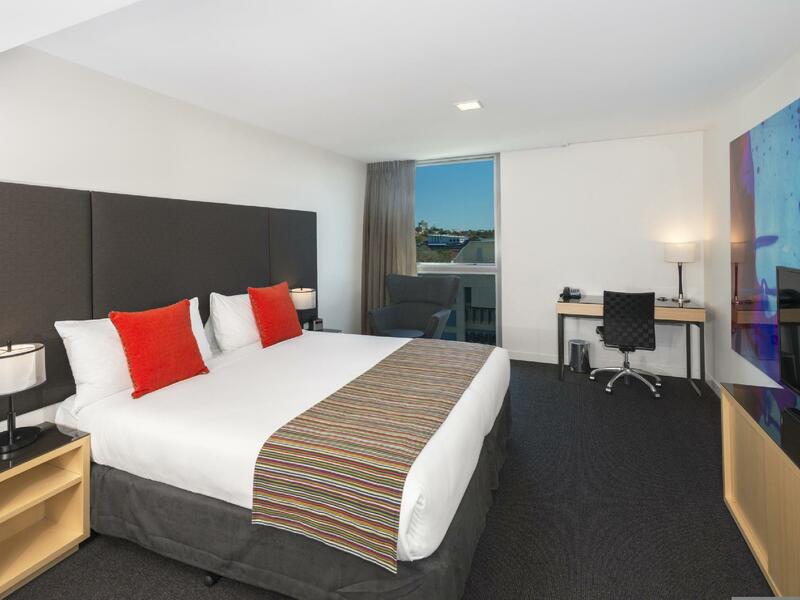 It's only short walk from the convention centre, and right in the Southbank precinct. Only downside was the train tracks immediately behind the building, but noise was only noticeable when the sliding doors were open. Overall the stay was comfortable and enjoyable and I will probably stay again next year. Poor. The room was big and clean. After 7 days I noticed that my bins were not emptied daily. The breakfast buffet was over rated. The cold buffet was great, you are provided a menu to select cooked food. I tried one new dish every day. The pancakes were disgusting, dry and looked mouldy. I couldn't cut with my knife. Plates, cups and saucers had dried food and coffee renants. Gross. I think poached eggs with mushrooms was the best. The others were basically thrown together. Reception staff needs better service skills. Not very forthcoming or friendly. I spoke to 5 staff, only one was friendly and it was when I was checking out. If I hadn't prepaid, I would have moved. Near the Convention Centre. Easy to find food. Walking distance to the CityCat boats. It was very near the Brisbane Convention Centre and just across the road from the Rydges. Food was easy to find as this was a place where there are loads of different restaurants serving various cultural cuisines. It's too far to walk to shopping places but a quick boat ride can solve that.